With a stay at Red Planet Patong, Phuket in Patong, you'll be near the beach and minutes from Sphinx Theatre and Patong Beach. This hotel is within close proximity of Royal Paradise Night Market and Bangla Night Street. Make yourself at home in one of the 142 air-conditioned guestrooms. Complimentary wireless Internet access keeps you connected, and cable programming is available for your entertainment. Bathrooms have showers and hair dryers. Conveniences include safes and ceiling fans, and housekeeping is provided daily. Enjoy a satisfying meal at a restaurant serving guests of Red Planet Patong, Phuket. 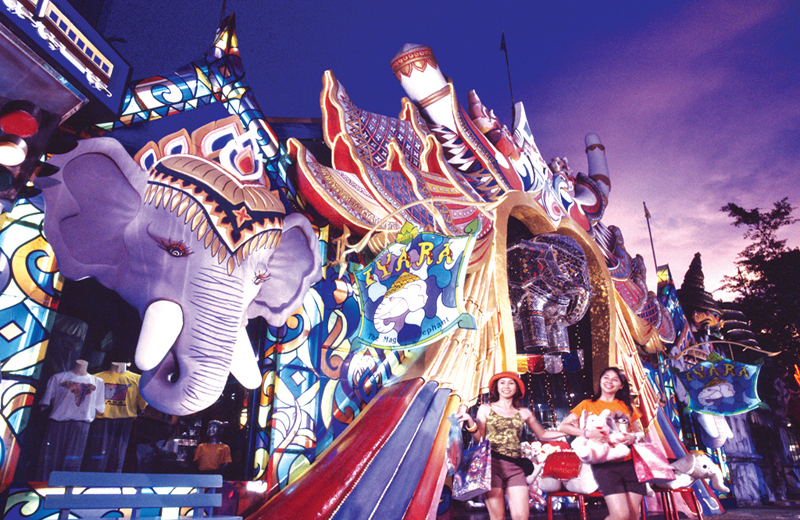 Spend an evening at Phuket FantaSea: the Ultimate Cultural Theme Park. 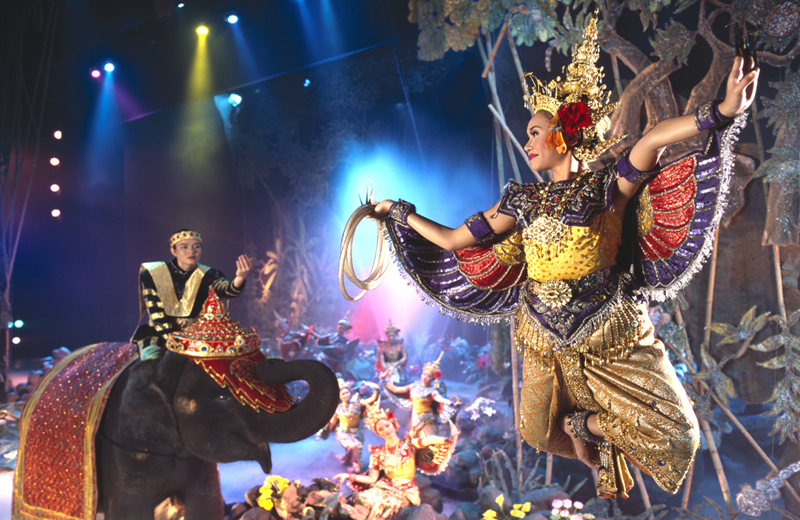 Watch an award-winning show that brings Thai legends to life and enjoy a delicious buffet dinner at this family-friendly venue. 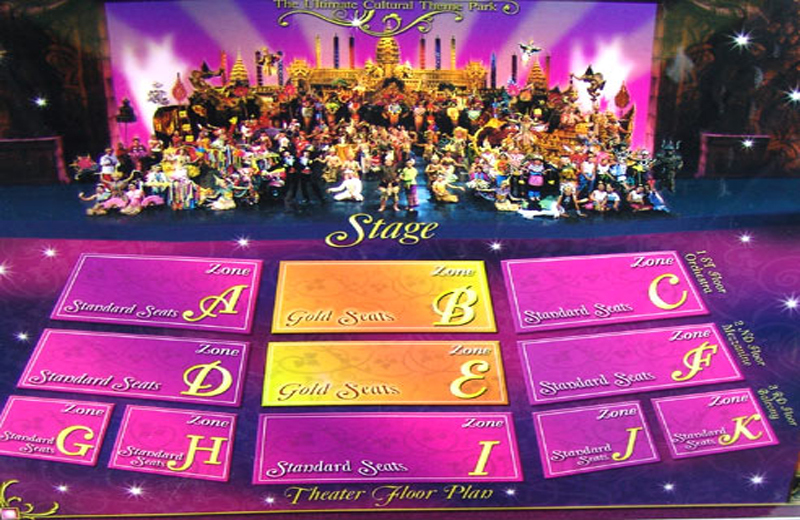 You’ll be charmed by the magic of state-of-the-art special effects and dancing elephants on stage. Round-trip hotel transport and a local guide are included with your admission. 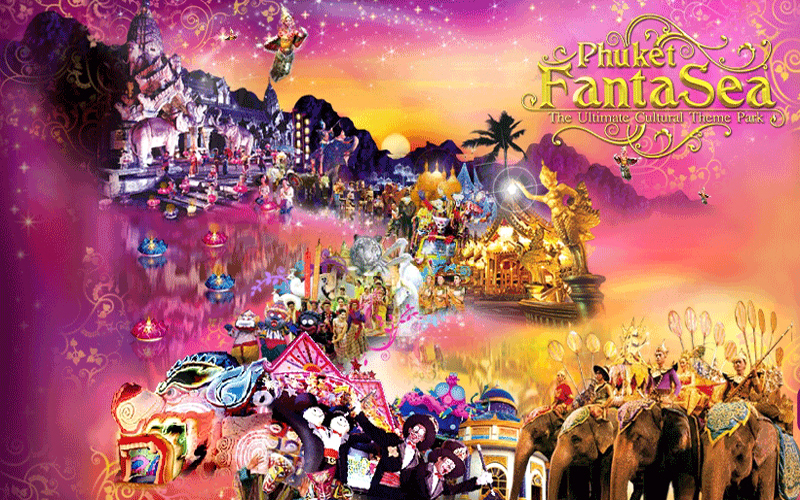 Highlights Explore the magical cultural theme park of FantaSea Enjoy the award winning spectacular show Delicious buffet dinner at Asia's largest buffet restaurant Hotel pickup and drop-off What You Can Expect Phuket Fantasea Show and Dinner Your evening at Phuket FantaSea begins with hotel pickup and a coach transfer to the 140-acre (56-hectare) cultural theme park, which boasts a shopping village and carnival games at an undersea arcade in the entertainment center. When it’s time, your guide escorts you to the Palace of the Elephants Theater to watch an award-winning theatrical production. 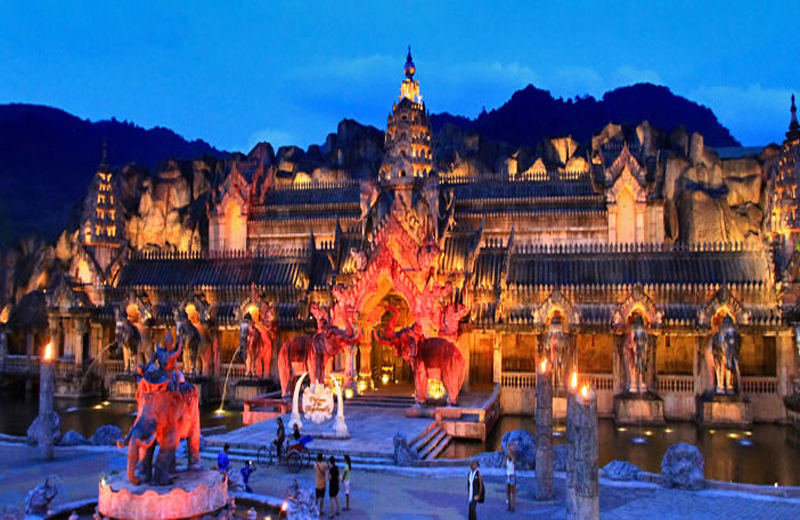 You’ll be mesmerized by the spellbinding ‘Fantasy of a Kingdom’ as ancient myths are enacted on stage — enhanced by state-of-the-art technology and special effects. 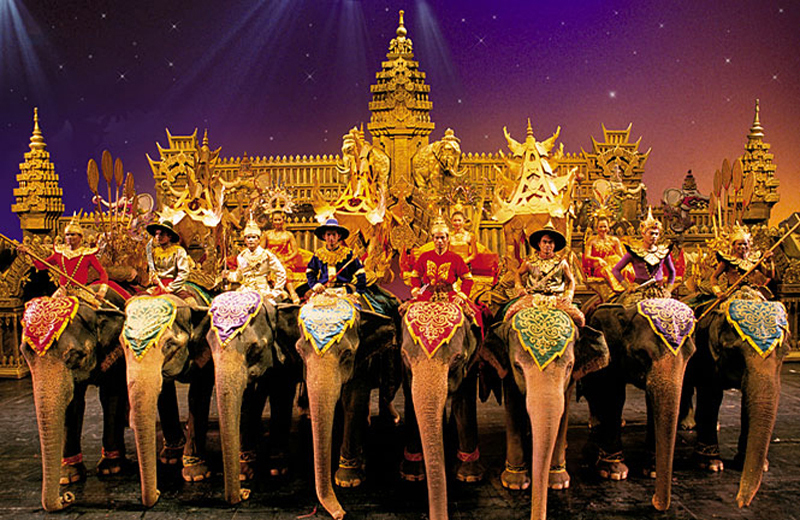 Learn about the 999 Asian elephants that protected the legendary Thai kingdom during a spectacular performance, an extravaganza not to be missed! 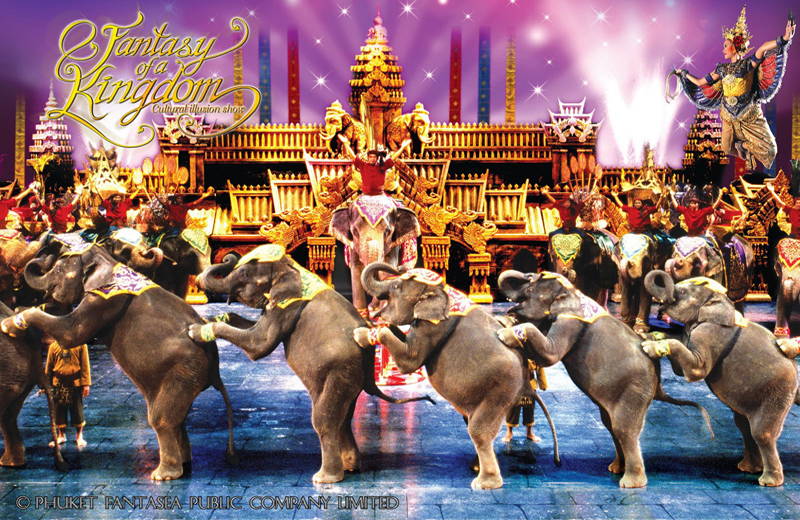 Then head to the Golden Kinnaree Buffet Restaurant inside the FantaSea complex. 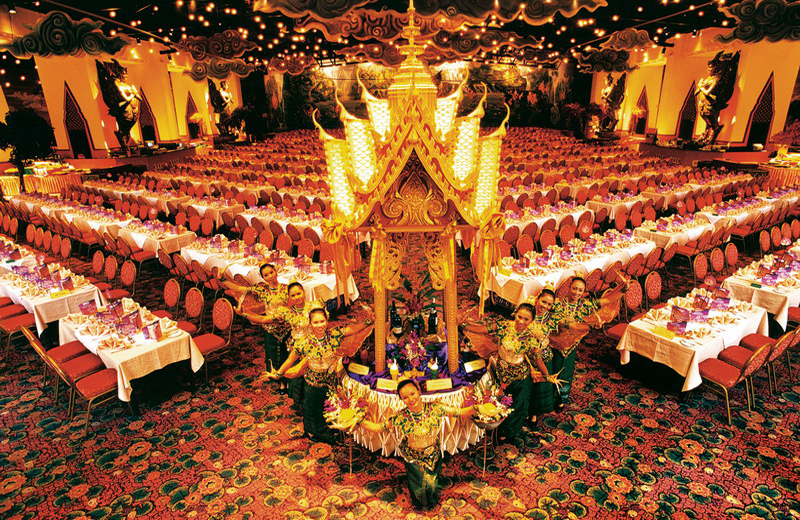 At Asia's largest buffet restaurant, which seats 4,000 people served by 200 wait staff, you’ll enjoy a sumptuous feast of royal Thai and international dishes for dinner. If you’d like, you can purchase a beverage at one of the six bars (own expense). 08:30-09:00 Arrive to Royal Phuket Marina-Welcome by your local guide. 11:30 Enjoy a great lunch at restaurant on Phi Phi Island and free time for leisure on the Island. 12:30 Visit the other famous of the Paradise emerald clear sea and bays for sightseeing, Viking Cave, Pileh Cove, Loh Samah Bay. 13:30 Arrive at “Maya bay” enjoy Relaxing and swimming on white sand beach. 14:30 Explore to “Khai Island” is a beautiful island with white sand beach and clear water. Relax on the Beach or swimming and snorkeling..
16:00 Departure from “Khai Island” return to the pier. *Program subject who to be change depend on water tide and weather conditions. *A female guest who are pregnant is not allowed on this trip.